David Lauderdale, senior editor and columnist for The Island Packet and The Beaufort Gazette, is the grand marshal for the 36th annual Hilton Head Island St. Patrick’s Day Parade. Cost to participate in the parade are $400 for businesses; $200 for nonprofit organizations. The parade starts at 3 p.m., Pope Avenue, south end of Hilton Head Island.www.hiltonheadireland.org or Bill Harper at 843-616-3604. 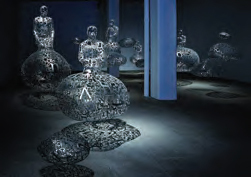 Jaume Plensa’s “Talking Continents” Exhibition at Telfair Museums: Telfair Museums’ Jepson Center presents a solo exhibition by artist Jaume Plensa titled “Talking Continents.” $20. 10 a.m.-5 p.m. Telfair Museums’ Jepson Center, 207 W York Street, Savannah. www.telfair.org. “Just Jevon”: Jevon Daly’s first ever solo acoustic show on Hilton Head Island. $15. 7:30-10:30 p.m. Coligny Theatre, 1 North Forest Beach Drive, Hilton Head Island. www.ColignyPlaza.com/events. Jewels & Jeans: This year’s Jewels & Jeans fundraiser, held by the Beaufort County Foundation for Educational Excellence, will honor Dr. Jane Upshaw for her many decades of dedication to education in the Lowcountry. Proceeds benefit Beaufort County students by providing grants to exceptional teachers for innovative projects. Enjoy a live and silent auction, food and dancing to music by Deas Guyz. $65. 6-9:30 p.m., Country Club of Hilton Head, 70 Skull Creek Drive, Hilton Head Island. 843-415-2331. 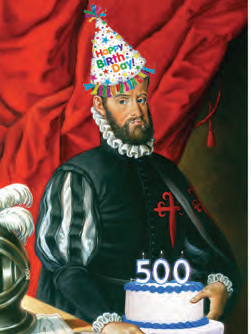 Pedro Menéndez de Avilés’ 500th Birthday Bash: A Special Commemoration at Santa Elena History Center. In honor of Pedro Menéndez, born in 1519. $10 for adults; $5 for children ages 7-17. 11 a.m.-6 p.m. Santa Elena History Center, 1501 Bay St., Beaufort. 843-379-1550. Music on Malphrus: David Jacobs-Strain and Bob Beach. Jacobs-Strain plays slide guitar and is known for his virtuosity and spirit of emotional abandon. Beach’s career has spanned more than 45 years and is rooted in blues, rock ‘n’ roll and folk music. The pair have been performing together since 2010. $20. 7 p.m., The Unitarian Universalist Congregation of the Lowcountry, 110 Malphrus Road, Bluffton. 843-837-3330 or www.uulowcountry.org. ”Where Nature Meets Art” Exhibit by the Artists of Spring Island: The Coastal Discovery Museum hosts a temporary exhibition of the work by the Artists of Spring Island, offering a glimpse into the beauty of one of Hilton Head’s neighboring islands. An opening reception will be from 4:30-7 p.m. March 2. Coastal Discovery Museum, 70 Honey Horn Drive, Hilton Head Island. www.coastaldiscovery.org. FARM Fundraising Oyster Roast: Join FARM Bluffton for an afternoon of oysters, Southern sides, and cocktails along the bank of the May River. Some of the South’s favorite chefs will join chef Brandon Carter of FARM for this fundraiser to benefit the Southern Foodways Alliance. $100. 4-7 p.m. FARM Bluffton, 1301 May River Road, Bluffton. 843-707-2041 or www.farmbluffton.com. Artist Talk featuring Katherine Sandoz: Join Savannah artist Katherine Sandoz for a discussion of her site-specific installations at the Jepson Center, including “katniss,” a 500-pound acrylic mobile hanging from the atrium’s ceiling. Free with museum admission of $20. 3 p.m., Telfair Museums’ Jepson Center, 207 W York St., Savannah. 912-790-8800. Emotional & Binge Eating Workshop with Erin Risus and Lisette Cifaldi: If you use food to cope with stress, struggle with nighttime overeating, or have feelings about food addiction, you're not alone. We invite you to join us for an intimate and powerful group experience focused on helping you better understand the root of your eating patterns. Hilton Head Health, 14 Valencia Road, Hilton Head Island. 866-368-1857. “Sea Pines 1950-1983”: The modern era of Hilton Head Island’s history began when Charles Fraser began developing Sea Pines from timber land owned by his family. Learn about how our island’s destiny was shaped by Fraser’s vision from those early days up to the incorporation of the Town of Hilton Head in 1983. $20. 10:30 a.m.-noon. Heritage Library, 2 Corpus Christi, Hilton Head Island. 843-686-6560. Mid-Week Lenten Services: Presbyterian, United Methodist, and A.M.E. churches in the greater Bluffton and Okatie areas will gather together in the season of Lent for worship and fellowship. A guest pastor will share the message during the 30-minute service. Offerings received as part of the service will support missions and ministries selected by the host church. Following the worship service, a light luncheon will be served. Noon. Church of the Palms UMS, 1425 Okatie Highway, Okatie. 843-379-1888. Matteo Correggia Wine Tasting: With special guest wine maker Giovanni Correggia of the Piedmont region of Italy. Join us for conversation, wine tasting and cheese pairings. $15. 5-7 p.m., Rollers Wine & Spirits, 9 Palmetto Bay Road, Hilton Head Island. 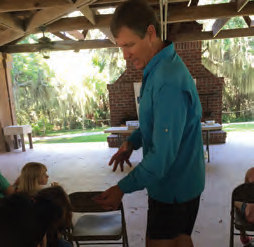 “Lowcountry Snakes”: Tony Mills, the education director for the LowCountry Institute, will cover the natural history of many snakes commonly found in the Lowcountry. This is an up-close and personal session with these fascinating cold-blooded animals. Live snakes will be shown. $7. 3-4p.m., Coastal Discovery Museum, 70 Honey Horn Drive, Hilton Head Island. 843-689-6767, ext 223. Savannah Stopover Music Festival: More than 75 bands across more than 10 venues in Savannah's beautiful historic district. See some of your favorite bands alongside all the hot up and comers. $39-$169. 5 p.m., Savannah Historic District. www.savannahstopover.com. 8th Annual PFS Sporting Clays Shoot: Hilton Head residents Fuzzy Davis and Carol Bartholomew have teamed up to create this unique fundraiser supporting the special needs community. Proceeds support Pockets Full of Sunshine, a local nonprofit that provides social and recreational opportunities for Lowcountry adults with disabilities. New this year is a raffle for a Caesar Guerini “Magnus Sporting” shotgun. Forest City Gun Club, 9203 Ferguson Ave., Savannah. 843-384-1315. Low Country Chapter of the American Guild of Organists: A concert of organ and flute music. Free. Noon. St. Helena Parish, 507 Newcastle St., Beaufort. Darius Rucker Intercollegiate Gold Tournament: Long Cove Club, in partnership with Darius Rucker and the University of South Carolina, is hosting the 8th annual tournament at Long Cove Club’s nationally acclaimed golf course. Top women’s teams from around compete for the title. Kicking off the event will be a private Darius Rucker concert at the Arts Center of Coastal Carolina for players, coaches, sponsors and Long Cove Club residents. Spectators are welcome during play. Tee times begin at 8:30 a.m. on March 8-9 and 8 a.m. March 10. longcoveclub.com or 843-686-1074. Bo Art Presents: "Art Noir Black Tie Gala”: This event will showcase the new Bo Art shared artists’ studio space and participating artists during a fun-filled evening featuring aerial performance artists, music by The Marquee Club, food from Trattoria Divina, Italian wines and an open bar. Meet and mix with some of Hilton Head's best emerging artists, who will inspire you to get involved with the island's growing art community. $133-$165. 5:30-11:30 p.m., Bo Art, 19 Dunnigan's Alley, Hilton Head Island. 843-842-5299. Youth ArtsFest: Celebrate National Youth Arts month. Students and their families can enjoy arts and crafts projects, dance and drama workshops. $5. 11 a.m.-1 p.m. Arts Center of Coastal Carolina, 14 Shelter Cove Lane, Hilton Head Island. 843-686-3945, ext. 206. Living History Encampment: Beaufort History Museum will present its fourth annual Civil War living history encampment. This year, the museum is partnering with the National Park Service. 9 a.m.-5 p.m., Arsenal Courtyard, 713 Craven St., Beaufort. Free. 843-379-3079 or www.beauforthistorymuseum.wildapricot.org/event-3205232. A Tribute to New Orleans Cooking Class: Chef Jeff Condon will demonstrate his excellent cooking skills as you sip on Ste. Michelle sparkling wine and other amazing wines. $65. 12:30-2 p.m., The Bluffton Room, 15 Promenade St., Bluffton. www.hiltonheadwineandfood.com/events/. 2019 William P. Stevens, Jr. Pro-Am Clinic Classic: By participating in the golf tournament, you will be supporting Volunteers in Medicine’s mission to provide free medical, dental and mental healthcare to under-served individuals in the community. $250. 9 a.m.-6 p.m., Berkeley Hall Golf Club, 366 Good Hope Road, Bluffton. www.vimclinic.org. Lowcountry Community Concert Band: The Lowcountry Community Concert Band under the direction of David Carbone will perform in concert. The theme of this concert is “Music of the European Masters.” Free. 7:30 p.m., May River High School auditorium, 601 New Riverside Road, Bluffton. 267-884-6805. “The Appearance of Truth” by Mickey Boisvert: Artist Mickey Boisvert will showcase her exhibit “The Appearance of Truth” at the Art League Gallery. Free. 10 a.m.-4 p.m. Mondays-Saturdays and noon-4 p.m. Sundays. Arts Center of Coastal Carolina, 14 Shelter Cove Lane, Hilton Head Island. Cemeteries of Hilton Head Island: Every cemetery tells a story, and the 16 known cemeteries on Hilton Head Island each provide a glimpse into the lives of the people who once called the island home. During this educational PowerPoint presentation, you’ll learn their history and where they are located so you can explore on your own. $20. 10:30 a.m.-noon. Heritage Library, 2 Corpus Christi, Hilton Head Island. 843-686-6560. Island House/Mental Health America Golf Tournament: In this inaugural charitable golf outing for Mental Health America/Island House, the field will be limited to 100 players. Teams can be men, women or mixed. The top four of the 25 teams will receive prizes. $200 per person; $800 per foursome. 9 a.m., Colleton River Club, 60 Colleton River Drive, Bluffton. www.eventcaddy.com. “Programs at Savannah Natural Wildlife Refuge”: Russ Webb will discuss “Programs at the Savannah Natural Wildlife Refuge.” Free. 3-4:15 p.m., Palmetto Electric Cooperative’s Community Room, 111 Mathews Drive, Hilton Head Island. Non-Audubon members are welcome, but seating is limited. 843-592-7968 or www.hiltonheadaudubon.org. Sip and Stroll: Grab your glass and stroll through the variety of shops that line the Harbour Town Yacht Basin. Treat yourself to a great selection of wines while enjoying discounts at participating shops, all while taking in the beautiful atmosphere. $49. 1-4 p.m., Harbour Town, 149 Lighthouse Road, Hilton Head Island. www.hiltonheadwineandfood.com/events/. Stay Gold: A Lowcountry Wine, Food and Music Experience: Join us for the inaugural Stay Gold: A Lowcountry Wine, Music and Food experience. 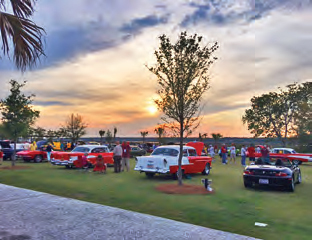 Stay Gold will take place at sunset along the beautiful marina in Harbourtown at Sea Pines. It will feature Double Gold wines from our international Judging competition and delicious Lowcountry foods. Guests will be entertained with live music by Mike Kavanaugh. $75. 6:30-8:30 p.m., Harbour Town, 149 Lighthouse Road, Hilton Head Island. www.hiltonheadwineandfood.com/events/. Rombauer Wine Dinner with Guest Chef Clayton Rollison: Join us for this iconic wine dinner featuring Jeff Papa and Rombauer Wines, along with Clayton Rollison, executive chef and owner of Lucky Rooster Kitchen + Bar. $150. 7:30-10:30 p.m., Rollers Wine & Spirits Palmetto Bay Road, 9 Palmetto Bay Road, Hilton Head Island. An Evening in Italy Wine Dinner: The evening will include dining, wine pairings, live music and a limited live auction. All proceeds will go to the Children’s Relief Fund, now in its 27th year, which benefit the Lowcountry’s special-needs children and their families. $250. Venue 1223, May River Road, Bluffton. www.thechildrensrelieffund.org. “A Place to Become…” Gala for the Hilton Head Island Boys & Girls Club: This annual black tie fundraising event includes a cocktail reception, silent auction, dinner and live auction, followed by dancing. 6 p.m. Tickets are $200 each. The Westin Hilton Head Island Resort & Spa. For more information and to purchase tickets go to www.bgclowcountry.org. 24th Annual Hilton Head Shamrock Run: “Get Your Irish On” and run in green. The Hilton Head Shamrock 5K is a fun and healthy St. Patrick’s Day family tradition. A percentage of proceeds from the event will go to benefit local Hilton Head charities. $30 for pre-registration until March 12; $35 for late and race-day registration. 8 a.m., Heritage Plaza, 81 Pope Ave., Hilton Head Island. 843-757-8520. 2019 Hilton Head Junior Open: Registration is now open for the Hilton Head Junior Open. $229 for members; $304 for non-members. Country Club of Hilton Head, 70 Skull Creek Drive, Hilton Head Island. 843-681-2582. Beachside Brunch and Bubbles: In addition to a world-class brunch, you will enjoy ocean views, Deep Eddy bloody marys, Domaine Ste. Michelle sparkling wine and mimosas from the deck. $42.95 plus tax and gratuity. 11 a.m.-1:30 p.m., Sea Pines Beach Club, 87 N. Sea Pines Drive, Hilton Head Island. 843-842-1888. Lowcountry Community Concert Band: The Lowcountry Community Concert Band under the direction of David Carbone will perform in concert. The theme of this concert is “Music of the European Masters.” Free. 6:30 p.m., Lord of Life Lutheran Church, 351 Buckwalter Parkway, Bluffton. 843-540-7605. 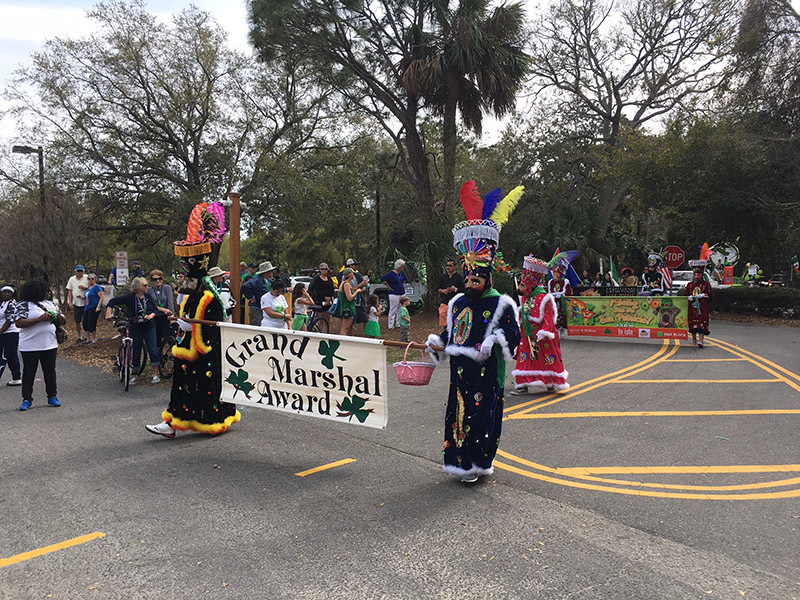 Hilton Head Island St. Patrick's Day Parade: David Lauderdale, senior editor and columnist for The Island Packet and The Beaufort Gazette, is the grand marshal for the 36th annual Hilton Head Island St. Patrick’s Day Parade. Cost to participate in the parade are $400 for businesses; $200 for nonprofit organizations. The parade starts at 3 p.m., Pope Avenue, south end of Hilton Head Island. www.hiltonheadireland.org or Bill Harper at 843-616-3604. St Patrick's Day at Coligny With Matt Brantley Band: Come see the the Matt Brantley Band. noon-3 p.m., Coligny Plaza, 1 North Forest Beach Drive, Hilton Head Island. 843-842-6050. 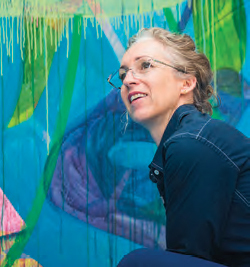 Palmetto Quilt Guild: The Palmetto Quilt Guild will meet with guest speaker Anna Faustino, who specializes in teaching, art history and culture, painting, engineering drawing and textile art. $5. noon-3 p.m., Hilton Head Beach & Tennis Resort, 40 Folly Field Road, Hilton Head Island. www.palmettoquiltguild.org. Gala-bration for the Bluffton Boys & Girls Club: This memorable fundraiser has returned to the Montage Inn at Palmetto Bluff. Bud Mingledorff is the emcee and Sonny Huntley is the auctioneer at this fundraiser that includes a cocktail hour, auction, dinner and entertainment by members of the Boys & Girls Club of Bluffton. Tickets are $225. For more information and tickets go to: www.bgcbluffton.org/gala. The Literacy Center Hosts The American Dream Celebration: This special evening will raise funds for Beaufort County’s only adult literacy nonprofit group. The event will include a silent auction, heavy heavy hors d’oeuvres and wine and beer. Hilton Head Island pianist Bill Peterson will perform. Monty Jett is master of ceremonies. $750 for a reserved table for 10; $65 for individuals. The Golf Club at Indigo Run, 101 Berwick Drive, Hilton Head Island. 843-815-6616. Spring Serenade: Professional soloists and orchestra present the elegant Mass in G by Viennese composer Franz Schubert and music from the award-winning Rodgers and Hammerstein Broadway musical “Carousel.” $10-$40. 8 p.m. First Presbyterian Church, 540 William Hilton Parkway, Hilton Head Island. 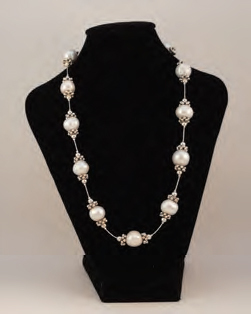 Forsythe Jewelers: Wanderlust Event: noon-7 p.m. March 22, 10 a.m.-5 p.m. March 23. The Shops at Sea Pines Center, 71 Lighthouse Road #300, Hilton Head Island. 843-671-7070 or www.forsythejewelers.biz. Bourbon Ball: The Bourbon Ball gala to benefit the arts, outreach and education begins in outdoor tented venues with an open bar, bourbon tastings, Kentucky-inspired heavy hors d’oeuvres and an outdoor cigar lounge. 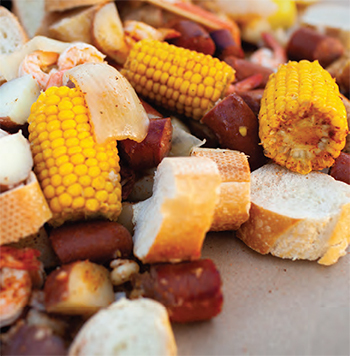 Enjoy the bluegrass sounds of Lowcountry Boil. $175. 6 p.m., Arts Center of Coastal Carolina, 14 Shelter Cove Lane, Hilton Head Island. 843-686-3945, ext. 206. Music on Malphrus: Kirsten Maxwell: Get ready to add Kirsten Maxwell to your list of favorite singer/songwriters. Maxwell has a dedicated hometown following and a growing presence in the national indie/folk scene. $20. 7 p.m. Unitarian Universalist Congregation of the Lowcountry, 110 Malphrus Road, Bluffton. The Role of Women in the History & Development of Hilton Head: Follow the journey of the women who came first to Hilton Head Island. Their journeys tell about their strong commitments to this island and how they made life here stronger and better. $20. 10:30 a.m.-noon, Heritage Library, 2 Corpus Christi, Hilton Head Island. 843-686-6560. 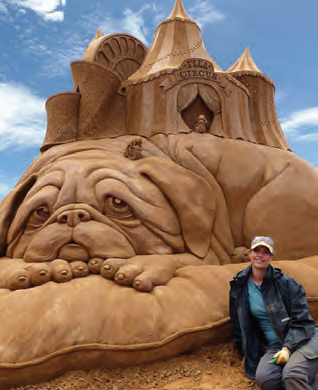 The Hidden Beauty of Sand: Explore the beauty and the complexity of sand. Not just for sand castles, this fascinating substance is the bedrock of our island. $7. 3 p.m., Coastal Discovery Museum, 70 Honey Horn Drive, Hilton Head Island. 843-689-6767, ext. 223. Get The Led Out: Far and away the best Led Zeppelin tribute band out there, Get the Led Out is vouched for by Jimmy Page himself. $51. 8 p.m., Arts Center of Coastal Carolina, 14 Shelter Cove Lane, Hilton Head Island. 843-686-3945, ext. 206. The 16th Annual Southern Women’s Show: The 16th annual Southern Women’s Show returns to Savannah with a full and robust lineup of local, regional and national vendors featuring one-of-a-kind products and exclusive shopping finds. Includes crowd favorite Firefighter Fashion Show, beauty makeovers, and the Eat It and Like It Cooking Stage with Jesse Blanco, creator of the two-time Emmy-nominated TV series. $9 in advance and $11 at the door for adults; $5 for children ages 6-12; $8 for groups; $25 for reserved Hot Seat Package or VIP package. 10 a.m.-8 p.m., Savannah Convention Center, 1 International Drive, Savannah. 704-494-7558 or www.Southernwomensshow.com. Taste of Bluffton Street Festival: A Southern celebration of food; those older than 21 must purchase admission ticket, which includes wristbands for entry and one beverage ticket. Purchase samples of delicious food from various local restaurants and enjoy some shopping with local vendors. 10 a.m.-4 p.m., 50 Calhoun St., Bluffton. www.tasteofbluffton.com. Specialty workshops at Hilton Head Health-Weight Loss Resort and Health Spa: Discover Your Fitness Style with LynnAnn Covell: If you have tried working out and are having trouble enjoying it, you haven't found the fitness style that best suits you. LynnAnn has 26 years of experience as a residential weight loss center Fitness Director and L.I.F.E. Coach. Through March 10. Emotional & Binge Eating Workshop with Erin Risus and Lisette Cifaldi: If you use food to cope with stress, struggle with nighttime overeating, or have feelings about food addiction, try this intimate and powerful group experience focused on helping you better understand the root of your eating patterns. March 3-10. Diabetes Empowerment with Elizabeth Huggins. This unique retreat will take the confusion out of diabetes management and leave you feeling empowered with a variety of activities and lectures. Elizabeth Huggins, H3's Registered Dietitian, has been a Certified Diabetes Educator for over twenty years. March 10-17. At Hilton Head Health - Weight Loss Resort and Health Spa, 14 Valencia Rd, Hilton Head Island. For reservations, call 866-368-1857. Hilton Head Farmers Market: Take home fresh produce, pasture raised chicken, free-range rabbit, pork, seafood, salsa, fresh sausage, cookies, breads, she-crab soup and much more. Shopping at the Hilton Head Farmers Market is about more than getting great food. It is also about meeting friends, strengthening community, and rebuilding the local food economy. 9 a.m.-1 p.m. Tuesdays, Coastal Discovery Museum, 70 Honey Horn Drive, Hilton Head Island. 843-689-6767, ext. 226 or www.coastaldiscovery.org. Deas Guyz at The Jazz Corner: Deas Guyz features an entertaining mix of Motown, R&B, pop, rock, reggae and dance beats. $10. 7:30 p.m.-11 p.m. Sundays, The Jazz Corner, 1000 William Hilton Parkway, Hilton Head Island. “Fat Tuesdays — A Swingin’ Celebration of New Orleans & Beyond”: The Jazz Corner Ensemble features pianist Eric Jones, bassist Dave Masteller and percussionist Chris Russell, with rotating special guests including saxophonist Dean St. Hillaire, trumpeter James Berry and more. $7. 7:30-10:30 p.m. Tuesdays, The Jazz Corner, 1000 William Hilton Parkway, Hilton Head Island. “Jazz in the Key of Life”: Pianist and vocalist Lavon Stevens is joined by drummer Jimmy Charles, bassist/vocalist Clarence Williams and rotating weekly special guests including vocalist Louise Spencer, saxophonist Stutz Wimmer, guitarist Jimmy Ward and more. $7. 7:30-10:30 p.m. Thursdays, The Jazz Corner, 1000 William Hilton Parkway, Hilton Head Island. Monday Night Exhibition: Join us for an exciting tennis demonstration with valuable tips, refreshments, prize drawings, and our traditional fishbowl sale. Sponsored by Sea Pines Real Estate, Prince, Adidas and Wilson. 5:30-7:30 p.m. Mondays until Aug. 26, Sea Pines Racquet Club, 5 Lighthouse Lane, Hilton Head Island. 843- 363-4495. Jazz By The Sea: Modern and classic jazz by the Mike Barbara Trio in one of Hilton Head's most beautiful venues. Featuring pianist Bill Peterson. 7-9 p.m. Tuesdays and Thursdays. Ocean Lounge, Sea Pines Beach Club, Hilton Head Island. 842-843-1888.